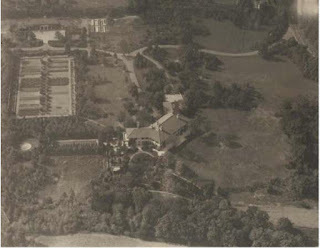 An aerial of 'La Selva', the Henry Sanderson estate designed by Hunt & Hunt c. 1915 in Upper Brookville. Click HERE and HERE for more on 'La Selva'. Click HERE to see 'La Selva' on google earth and HERE on bing. Photo from the Aiglon Archives. I found a beautiful feature article on La Selva" in the October 1922 issue of Country Life.